…. 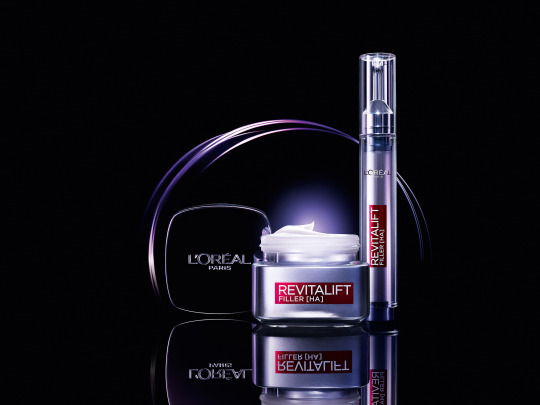 simply because you’re afraid of the shots and the after effect, you might want to consider these latest products from L’Oréal Paris, REVITALIFT FILLER [HA]. [HA] stands fro Hyaluronic Acid, the so-called superstar ingredient that we actually have in our skin. 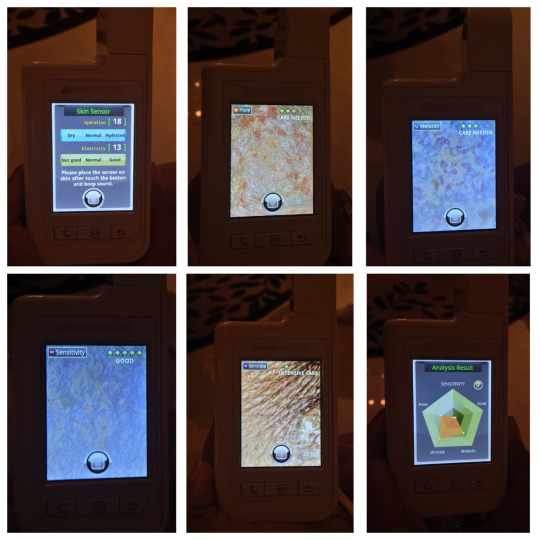 [HA] has the ability to retain moisture, and very important with regard to aging. What’s more: [HA] also provides antioxidant defense against free-radical damage. Sadly, [HA] will decrease drastically once we hit 30. That’s why adding [HA] to our skincare routine, especially for women above 30 years old is highly recommended. Some opt for injections, which apparently gave instant result but we have to repeat every 6 months (not to mention that it will cost you a lot and gave bruises for some), or for safer options, apply [HA] topically. 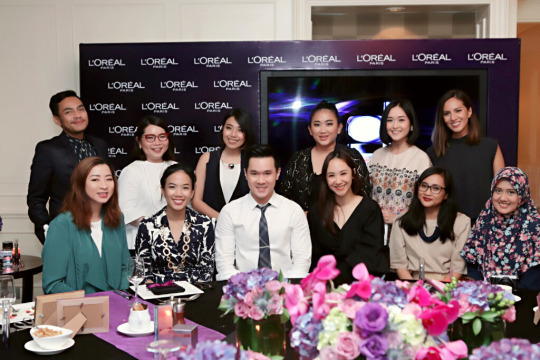 Earlier this week, me and fellow bloggers were invited to the launch of L’Oréal Paris REVITALIFT FILLER [HA] with two products in the line: Revolumizing Cushion Cream & Micro Volumizing Essence. 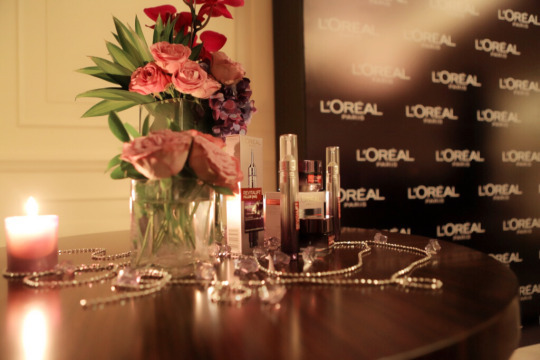 At the event, they provide skin diagnosis, which you can do in L’Oréal Paris counters in department stores. Well, turned out I need more hydration, even though I always felt that I applied enough moisturizer every day. As we age, our skin might not get drier per se, but they’ll definitely need more moisture. 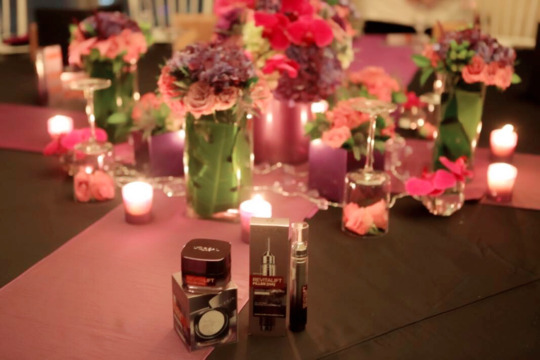 And [HA] is just the perfect ingredient for mature skin to bring back those plumpness, hydration and firm skin. Inspired by filler injections, they even created the Micro Volumizing Essence packaging to look like one. I’m impressed with the pump action packaging which allow us to distribute the right amount of product for each application. Specifically, the essence contains of 1000 mg of Pure Hyaluronic Acid, so imagine how powerful that can be! Both of them look really luxurious in terms of packaging and scent. As for the cream, it’s very smooth and kind of velvety, which left skin super soft & felt hydrated properly. I’ll check back after a month of trial.